Your Songs. Your Music. Your Shot At Greatness. 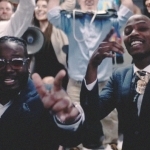 Guitar Center has teamed up with T-Pain and Young Fyre to give one unsigned artist the ultimate career-altering opportunity: A 3-song E.P. produced by Young Fyre (produced for Lil Wayne, Chris Brown, Busta Rhymes just to name a few). 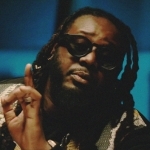 T-Pain will write and produce on your single, a complete Pro Tools HD Native Recording Studio, an Akai MPC 5000 Music Production Center, new gear and products from Shure, iZotope, and Rockstar Energy Drink, and worldwide music distribution from Tunecore!